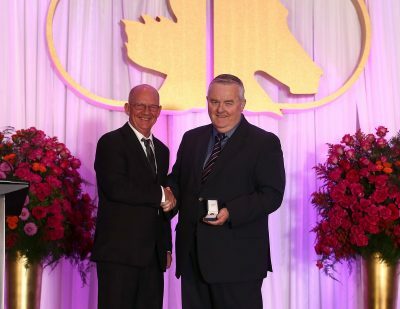 Bill Andrew is being inducted in the Builder category, but the Alberta-based owner of Meridian Farms East and West could almost fit the Hall’s Communicator category as well, having advanced creative marketing ideas across mediums and borders. 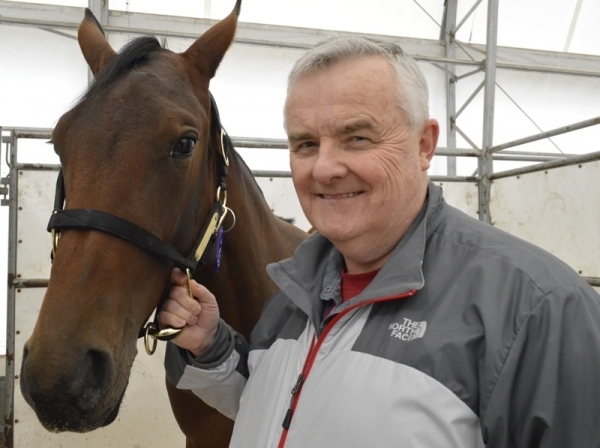 The standardbred breeder and philanthropic promoter of harness racing has sought real-world solutions to problems such as declining attendance, handle, and horse population. Bill’s father, Erwin, worked for trainers in the Charlottetown, PEI area as a young man, but left to serve in the Royal Canadian Air Force during World War II. He continued in that career for more than two decades. Bill went to Alberta in 1975, building a successful career as an engineer in the petroleum industry. He recently sold his company, Long Run Exploration, and now runs what he terms a “drop-in centre for young engineers and geologists and accountants who are out of work,” which offers pro bono employment resources from a Calgary office location. A co-worker of Bill’s wife was interested in racing, so Andrew ended up buying horses with him, which led to starting a “mostly solo” racing stable in the early ‘90s. Meridian Farms arose almost accidentally, adds Bill. “I think it happens to a lot of people: You race a nice filly, they take a bad step on the racetrack or something, and you get into the breeding business that way.” Class Pays, who was among the first yearlings he bought, came down with lung-damaging pneumonia after earning around $100,000 racing at two and three. She became a foundation broodmare. In the late ‘90s, Andrew purchased Glengyle Farm in PEI from the widow of Roach MacGregor. At the time, he bought it because the house on the property was ideally suited to the needs of his aging father. The land and stables now comprise the headquarters of Meridian Farm East. Andrew’s Hall of Fame induction, like his 2015 Cam Fella Award, is based upon more than his indisputable contributions as a breeder. Not one to seek the spotlight, Andrew is most satisfied in knowing his work has helped others and the industry. 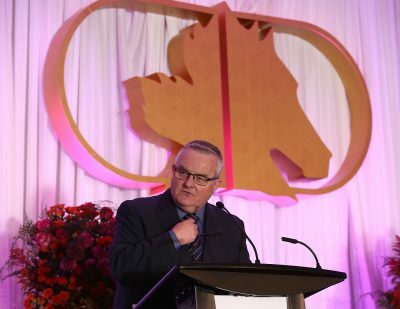 It is likely he will continue to make his mark as a Builder long after he is formally recognized as a member of the Canadian Horse Racing Hall of Fame.